Applications for the 2019-2020 grant round will open in September/October 2019. Forms from the 2018-2019 grant round have been retained here for reference. IMPORTANT: Applications for the 2019-2020 grant round MUST use the 2019-2020 forms. 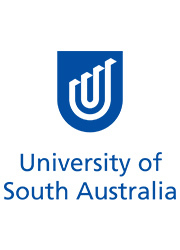 This grant provides support to academic and research institutions and non-government organisations to partially fund collaborative intellectual projects such as international conferences. Themes must address challenges that concern both Japan and other countries, and participants from Japan must play a significant role in the dialogues. For further information, please see the documents below. The 2017 Australia-Japan Dialogue will consist of a workshop bringing together experts from academia and government to examine the significance and legacy of the 1957 Commerce Agreement across four main session themes: ‘The Return of Japan and Australia’s Asia Awakening (1952-1975)’; ‘Legitimacy without Power without Legitimacy’; ‘Old Fears in a New Era? Australia-Japan Security Relations and the US (1991-2017)’; and ‘Present Trends and Future Directions: Trade, Investment, Culture, Security and Beyond’. The dialogue will provide a retrospective analysis of the bilateral relationship’s development since the 1957 Commerce Agreement. The aim of this retrospective, however, is not simply to revisit the well-known trade and economic benefits produced by the Agreement, nor only to trace the bilateral relationship’s largely untroubled evolution since 1957; this Dialogue instead seeks to assess the still largely neglected political and strategic drivers of the relationship and look for evidence of continuity and change to explain the relationship’s resilience over time. This is a one-year research project involving scholars from Australia, Japan, the United States and Southeast Asia to critically analyse the role and impact of the Australia-Japan Joint Declaration on Security Cooperation (signed in 2007 and celebrating its tenth anniversary in 2017). Particular attention will be placed on analysing how Australia and Japan identify common security interests and the extent of collaboration between Australian and Japanese defence personnel. Key objectives of the project are: a review of the first ten years and in particular, an assessment of the impact of the Australia-Japan Security Agreement; an identification of key areas of cooperation between Australia and Japan in the period 2007-2017; an analysis of the human framework of the Joint Declaration on Security Cooperation—human trafficking, climate change, piracy and natural disasters—and the relevance of the Joint Declaration for bilateral cooperation between the nations; the opportunity for scholars from Indonesia, Vietnam and the Philippines to offer regional (Southeast Asian) perspectives on the Australian-Japan contribution to Asia Pacific security architecture; and the opportunity for postgraduate and high-achieving undergraduate students at Western Sydney University and Meiji University to interact with workshop participants on topical security issues in the Asia Pacific. The aim of this event is to facilitate scholarly interchange between international scholars who share an interest in the cultural and mobile aspects of disasters. The conference features some of the field’s leading scholars, with a strong emphasis on Japanese researchers, such as Professors Shunya Yoshimi and Masahiro Ogino, who are internationally recognised for their contributions to social and cultural theory. The conference will put Japanese researchers in dialogue with their counterparts from Australia, United Kingdom, Singapore, and the United States, who are engaged in intersecting lines of inquiry. The proposed conference is part of an ongoing book project titled The Routledge Handbook of Civil Society in Asia, an interdisciplinary reference resource that focuses on civil society. Thirty-eight globally active scholars specialising Asian civil society are participating in this book project, and key chapter contributors will be invited to present and share their work at the proposed conference held at the University of Melbourne. 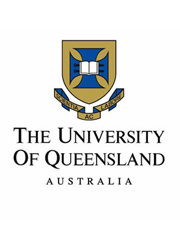 2016 is the 50th anniversary year of the Japanese Program at the University of Queensland. The whole year is dedicated to the theme of Japan in Australia celebrating the achievements of students, staff and the institution in the area of Japanese language and studies. The Japan in Australia conference will form an important component of these celebrations. It will attract academics, researchers, students and educators from around Australia, Japan and further afield to explore historically, socially, culturally and politically the theme of the conference. We will focus on the past, present and the future with a variety of speakers from different disciplines exploring Japan’s impact in this country, how that can be understood and some new directions for the way forward. The 2015 Australia-Japan Dialogue seeks to locate Japan’s political and security reforms within this context by examining the level of convergence and divergence between Australian and Japanese policy responses to contemporary international pressures. The Dialogue is aimed at identifying the extent to which Japan’s emerging identity as a more active international actor is being driven by structural and material change in the global order and to what extent it is being shaped by domestic factors in Japanese politics. Australia and Japan’s similar political systems and values; strategic alignments; and foreign policy priorities, including the further development of trade and investment ties, provide a strong basis for gauging the level of external influence on domestic policy and debate in both countries. My project is a collaboration between Japan, Australia and other nations. Is it eligible? Yes. Projects involving multiple nations are eligible; however, Japan must play a significant role in the dialogue, and participating nations must be suitable for the chosen theme and objectives. Projects involving participants from various nations are given higher priority. How much of my project’s expenses will be covered by the grant? This grant covers partial expenses only. In principle, The Japan Foundation will not fund more than half the total costs of any project, and it is expected that a substantial part of the funding will be provided by the applying institution and/or other sources. Will the grant cover salaries for staff, including assistants and office running costs? This grant does not provide funds for salaries/wages or office expenses. Honoraria may be provided for assistants and invitees in certain circumstances. For general FAQ about Major Grants, please see the FAQ section on the Japanese Studies Grants page.